Episode 29: Looks like we made it! That is right, one year ago this month, Marty got us to sit down and begin the podcast show Rolling Dice & Taking Names. The plan was to just have fun and really just talk about gaming. Thanks to all who have listened to the show, given us some feedback along the way, and even participated in the show. We look forward to 2014 and hope to keep bringing you game information, news and just thoughts about this great pastime/hobby. 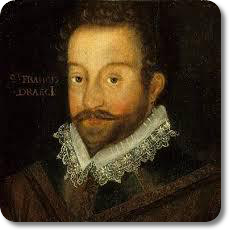 In this episode, Marty tells me all about the game Francis Drake which he got to play at our local game club. We discuss the game Coup and after playing, Marty was right, it isn’t another Resistance, thank goodness. I actually like this one even though there is player elimination. We have put some of our favorite highlight clips in the show from past episodes. I am sure there are better ones out there, but these make us smile. Finally, we have a solid At the Table segment on what people are hoping to receive this year from the game club and our BGG forum.